James Suckling, the rockstar of wine, is bringing his 2018 Great Wines of Italy wine tasting roadshow to Los Angeles on Friday, March 9th, with an emphasis on the glorious wines of Tuscany. The white hot spotlight will shine bright on the regal red wines of Italy, those majestic Barolo, Barbaresco, Brunello, Amarone, and Super Tuscan wines that often take your breath away. 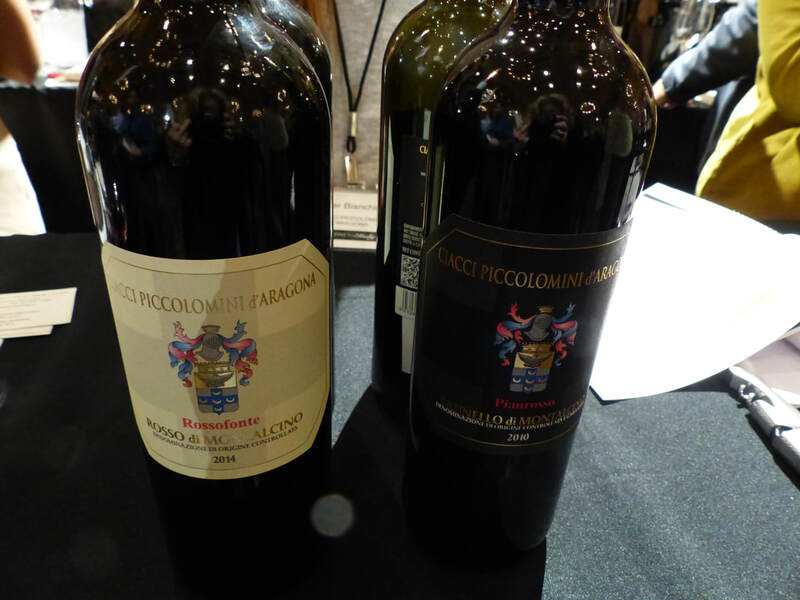 But there will also be other distinctive wines, whites and reds, that made the cut for Suckling’s Top 100 Italian Wines. Suckling, considered one of the world’s most influential wine critics, is particularly partial to Italian wines. During his 29 years at Wine Spectator, he tasted thousands of wines each year, and at least half were from Italy. So smitten with Italy, Suckling moved there in 1998, and has indulged his passion ever since. Now, with his JamesSuckling.com venture, he can take his love for the always popular wines of Italy on the road, with the Great Wines of Italy USA tour. The Suckling organization has arranged events in New York, Miami, San Francisco, and Beverly Hills, with so many illustrious wineries pouring their two top wines, scored 90+ or above by Suckling himself, mostly represented by the winemakers and winery owners themselves. At last year’s event, 188 wineries brought their A game to the Montage Hotel in Beverly Hills. A huge crowd anxiously waited in line for the doors to open, and once they did, the tasting was afoot, complete with Lalique glasses, winery video profiles splashed across the ballroom walls alongside the stage where a renowned DJ spun top tunes, a buffet of food fit for royalty, and a photo booth and photo ops with Suckling himself. Wine lovers brought a heightened level of excitement to the room, because where can you get the opportunity to taste the very best wines, of the most recent vintages, in one place?! An added perk, your favorite wines were available for purchase through K & L Wines, either in-stock or pre-arrival. 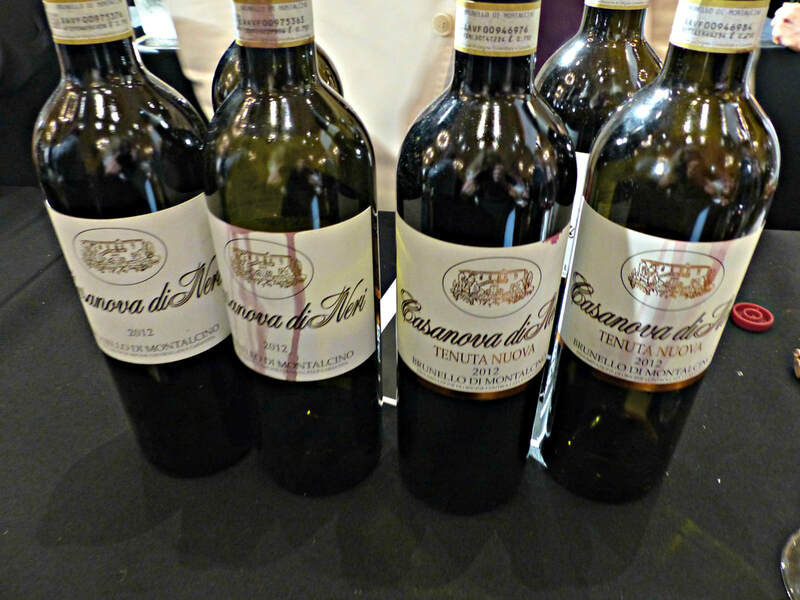 There was a huge emphasis on the mesmerizing wines of Brunello di Montalcino. Even though these Brunellos were babies, mostly just released, they were enchanting, intensely complex in their plum, dried fruit and flowers essence, spice profile, so smooth and savory with velvety tannins and an exquisitely long finish, a reminder to just why Brunello is so popular with Americans and the rest of the world. Renieri Brunello di Montalcino 2012 was a perfect example. luscious, smooth, and dense, with a finish that went on forever, rated 95 pts. Five wines were crowned with a perfect 100 pt score from Suckling for his Top 100 Italian Wines of 2016, three of those five were Brunello, along with the #1 Barolo and #3 Barbaresco, a testament to how strong these Brunello wines are. The runners-up were the hauntingly beautiful Barolo wines, made in a more approachable modern style. A highlight for me, the Poderi Aldo Conterno Barolo Bussia Cicala 2012, a life-changing wine, stunning with its vibrant red fruit, mineral streak, fine tannins, and refined balance, it’s hard to believe that this wine can improve on perfection, rated 95 pts. But outside the rarified air of these “royal” wines, there were so many “great” wines, from one end of “the boot” to the other, Friuli to Sicilia, Piemonte to Toscana, although Tuscany received the lion’s share of the attention. The full and flavorful white Grillo and red Nero d’Avola wines of Sicily’s Feudo Maccari, Schiopetto’s superb Friulano and Pinot Grigio from Friuli, a juicy Fontodi Chianti Classico, Super Tuscan blends from Antinori and Orma, and an unusual Sangiovese from Tenuta Sette Ponti, the Valdarno di Sopra Vigna Dell’Impero 2013, all added to a complex picture of today’s Italian wines. What makes Italy special is its sheer diversity and ramping up of quality over the past 35 years. Italy has an incredible number of intriguing wines, with 20 different regions, and almost 1,000 indigenous grape varietals not found outside of these regions. This is not the land of Chardonnay, and Cabernet Sauvignon, although they are grown here, and some fine wines are made. Every region, with it’s unique soils and climate, gives birth to very different grapes, and wines with distinctive flavors. Great Wines of Italy lands at the Montage Hotel in Beverly Hills, on Friday, March 9th, from 5-8pm, and tickets are available online at JamesSuckling.com.